I created that demo with an early prototype of the swarm oscillator. I created a lot of different sounds together with our RT-451 filter, envelopes and VCAs from Doepfer etc. In this demo you are listening to some live tweaking of an oscillator synchronisation patch. I fed the oscillator into the FXs of my mixing desk to create these sonic landscapes. In this example I am experimenting with the scale settings of the RT-311 swarm oscillator. The „swarm“ itself is not in use in this example – I am using the oscillators like two single oscillators. The LFO, that controls the pitch input, controls the cutoff frequency of the RT-451 multimode filter in the sawtooth section of this demo (starts at the half of the file). Setting the modulation depth of both filters in opposite direction creates this stereo animation. At the end I am deactivating the scale quantizer so you can hear, what the oscillator would sound like without the quantizer. I am using the tape delay setting of the soundcraft mtk mixer and feed the echo signal into the reverb fx of the second fx processor. 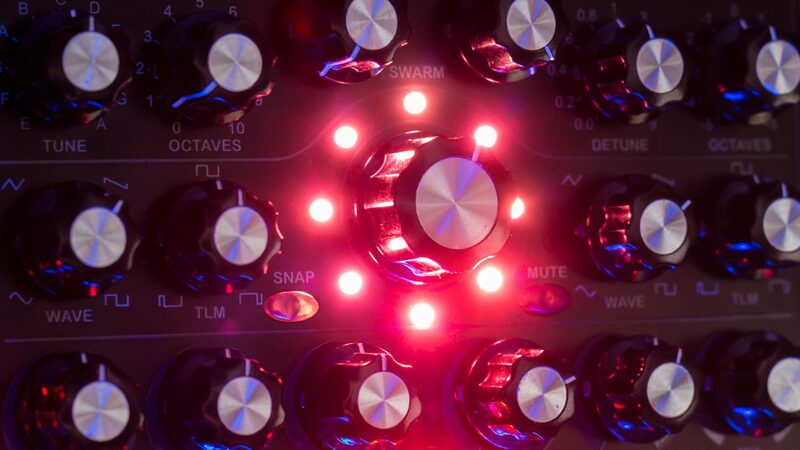 The oscillator swarm offers some chord presets, that can be used as tuning sets for the swarm. I fed the oscillator into the RT-451 dual multimode filter. The cutoff frequency is under control of an ADSR envelope. Finally I put a little delay onto the demo. The oscillator swarm offers some chord presets, that can be used as tuning sets for the swarm. I fed the oscillator into the RT-451 dual multimode filter. The cutoff frequency is under control of an ADSR envelope. Finally I put a little delay onto the demo. You can listen to three different short clips. 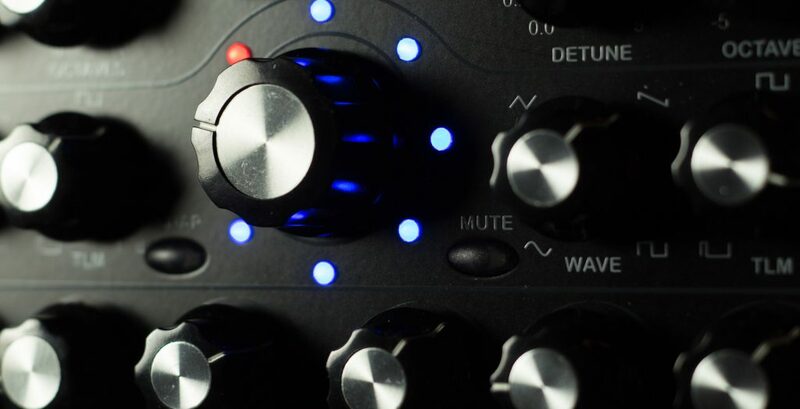 The parameters of the RT-311 can be automated by interpolating between different snapshots of sound settings. There is even an interpolator data output for the control of additional modules. In this example the RT-451 Dual Filter module is connected to this output.You are listening to waveform, pitch and TLM modulation, FM etc. changing continuously over time and you probably have never heard before that all these parameters are changing simultaneously.